New York - It may have been implemented as a time saving mechanism with environmental benefits, but the Metropolitan Transit Authority’s cashless tolling has landed the agency in federal court on grounds that it is being used as a money maker that takes advantage of unsuspecting drivers. The Journal News (http://lohud.us/2C8tkQe ) reported that the lawsuit, filed in Manhattan federal court on February 16th, alleges that thousands of motorists have been unfairly hit with tens of millions of dollars in fines since cashless tolling went live on the agency’s bridges and tunnels in 2016. According to court papers filed on behalf of Westchester resident Jason Farina, cashless tolling is being used to enrich the MTA and two contractors associated with the electronic bill paying system by slapping drivers with unwarranted fines which then mushroom into even larger penalty payments. Farina said that his trips across the Throgs Neck Bridge over a five month period starting October 2017 have cost him $8.50 in tolls for each crossing, plus a $100 fine for each one. According to Farina, his E-Z Pass had been working properly for some time, but this past November, he received notification that he had not paid his October tolls. Contacting the E-Z Pass customer service department, Farina was told to pay only the outstanding tolls and not the associated fees, but his current E-Z Pass statement still shows 61 violations and $6,100 in penalties. “Despite his repeated efforts to pay the underlying bills, Defendants have continued to pursue (Farina) for improper charges,” states the lawsuit. Farina’s attorney Stephen Fearon has asked for the lawsuit to be designated as a class action filing in order to include other drivers who have experienced similar problems. The lawsuit also alleges that the defendants, which include the MTA, Transworld, a debt collection agency and Conduent, which operates cashless tolling for both the MTA and the New York State Thruway Authority, have conspired to milk the system in order to generate extra revenue. MTA spokesperson Aaron Donovan declined to comment on the suit but said that cashless tolling, which first came to the New York area in 2012 and was rolled out at all MTA bridge and tunnel crossing this past September, offers drivers tremendous advantages, including a savings of 3.4 million hours in travel time and 1.6 million gallons of gas. The Thruway Authority is next on Fearon’s radar, with a second suit expected to be filed shortly for similar problems taking place on the Mario M. Cuomo Bridge, which replaced the Tappan Zee Bridge last summer. The Journal News has reported numerous instances of customers who have been hit with massive fines because of glitches in the system, with some having their registrations suspended and others having their cars impounded for non-payment of toll penalties. 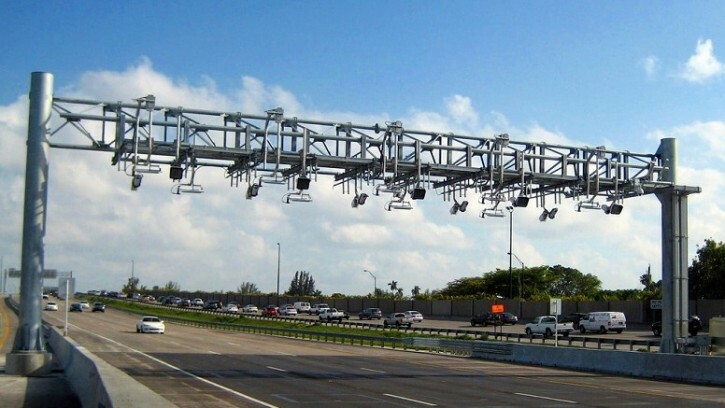 Drivers have charged that they never received any notification about any outstanding tolls before punitive action was taken. Spring Valley resident Ashlee Delgado racked up $700 worth of tolls for trips across the Tappan Zee Bridge over a nine month period in 2016, but told The Journal News (http://lohud.us/2BHuvp8 ) that she never received a bill for the trips. According to Delgado, that amount skyrocketed to $3,500 with accumulated penalties, prompting the Department of Motor Vehicles to suspend her registration without warning. Delgado only learned of the DMV’s actions when she was pulled over by a police officer who informed her that her registration had been suspended before removing her license plates and impounding her car. In another Journal News report (http://lohud.us/2BFTU2r ) Deloris Ritchie, also of Spring Valley, said that she, her elderly mother and her two children were pulled over by police on the RFK Bridge at 2 AM on Thanksgiving because her registration had been suspended, leaving the family on a Bronx street in near freezing temperatures. Ritchie discovered that she had an outstanding toll bill of $12,000, with the Thruway Authority claiming she hadn’t made any payments since April 2016, although she has copies of the checks written to pay for the tolls, all of which, she noted, were paid on time. According to Ritchie, when she called the Thruway Authority to discuss her account, they offered to settle her bill for $3,900. “If I really owed $12,000 and you’re going to give me my car back for $3,900, then something is wrong,” said Ritchie. Responding to outrage from drivers, the Thruway announced a month-long amnesty program that began in late January to wipe out any penalties or fines associated with unpaid toll bills from the Tappan Zee/Cuomo Bridge issued between April 24, 2016 and January 31, 2018 for drivers who paid their outstanding toll bills in full. The amnesty program can be accessed at https://wwwapps.thruway.ny.gov/amnesty/and runs through February 26th.